Set on a future Earth, Defiance introduces players and Syfy viewers to a world ravaged by decades of conflict, where humans and aliens live together in a world the likes of which no one has seen. The game combines the frenetic action of a top-tier console shooter with the persistence, scale, and customization of an MMO, while its TV counterpart exudes the scope, story, and drama of a classic sci-fi epic. The game’s story will take place in the San Francisco bay area, while the TV series will be set just outside of St. Louis, MO. Because they exist in a single universe, the show and the game will influence and evolve each other over time, with actions in both mediums driving the overall story of Defiance. We’ve been waiting for nearly a year for more news on this but we finally have some to report including some casting announcements. What’s particularly notable is the casting of Dexter alums, Jamie Kelly and Julie Benz. The casting of Kelly indicates to us that it is highly unlikely that she will be reprising her fan-favorite role of H.G. Wells on the popular SyFy series, Warehouse 13 which will begin its fourth season this summer. Julie Benz has appeared as a cast regular for the entire first season of the struggling CBS series, A Gifted Man. The fact that CBS did not announce that this show has been renewed for a second season when they announced the 18 shows that they had renewed and that Benz was seeking and committed to another series is a pretty clear indication that A Gifted Man will not be renewed. Read the full press release below. 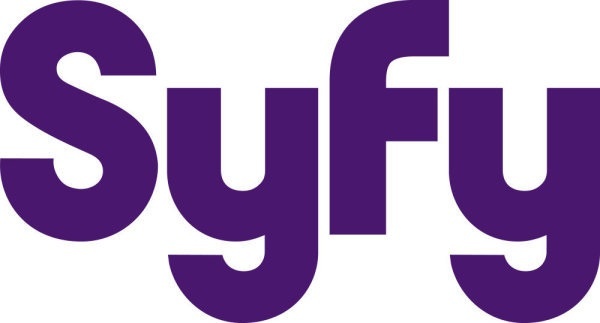 NEW YORK, NY – March 14, 2012 – Syfy has announced additional casting for its upcoming epic science fiction drama Defiance, inking Julie Benz, Stephanie Leonidas, Tony Curran and Jaime Murray to co-star in the first-ever series to unite television and MMO gaming. The pilot, slated to commence production this April in Toronto, is directed by Scott Stewart (Legion, Priest), and written/executive produced by Rockne O’Bannon (Farscape), Kevin Murphy (Desperate Housewives, Caprica; Hellcats) & Michael Taylor (Battlestar Galactica). Kevin Murphy serves as showrunner. 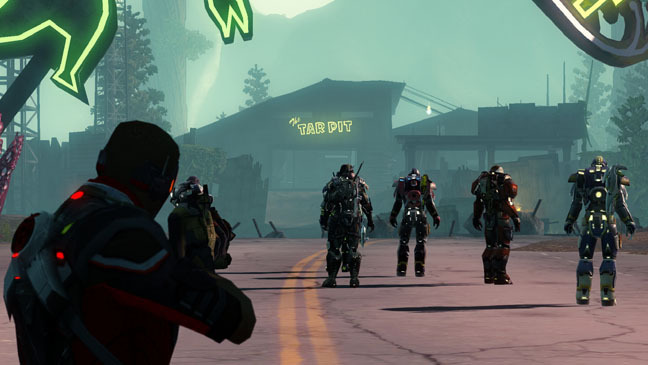 Defiance is a visionary enterprise in collaboration with Trion Worlds, with the Syfy series and Trion’s multi-platform shooter MMO poised to debut simultaneously. Set in the near future, Defiance introduces a completely transformed planet Earth, inhabited by the survivors of a universal war. Forced to co-habitate, the disparate group struggles to build a new society among the devastation. The dramatic tapestry of the series and the intense action of the game will exist in a single universe where their respective narratives will inform one another and evolve together into one overall story. Defiance is produced by Universal Cable Productions. Benz portrays Amanda Rosewater, the idealistic mayor of a bustling mining boomtown, one of the world’s few oases of civility and inclusion. As the newly appointed mayor, she is determined to maintain peace in the community, an ambitious task in this deadly new world. Leonidas plays Irisa, an exotically beautiful warrior who is part of an alien race called the Irathients. After Nolan (Bowler) killed her criminal father, he adopted the girl and raised her as his clever – and lethal – right-hand. Curran will portray Datak Tarr, part of an elite alien race known as the Castithans. Datak grew up in the slums of his home planet, but despite being part of the under-privileged class, he schemed his way onto one of the alien arks, saving himself before his home planet was destroyed. Murray potrays Datak’s beautiful and proper wife, Stahma, a high-ranking Castithan before her home planet ceased to exist. Clever, imaginative and darkly opportunistic, Stahma is perhaps more dangerous than her husband. The four join New Zealand born actor Grant Bowler, who is well-known for the recurring role on Ugly Betty (2008) as Wilhelmina Slater’s love interest, Connor Owens, and for the role of Cooter, the leader of the werewolf biker gang in the HBO series True Blood (2010) and Captain Gault in ABC’s Lost (2008). Bowler plays Nolan, the new law keeper in the boomtown and former Marine who fought in the alien conflict. After losing his wife and child in the war, he becomes a wanderer in the dangerous new world, eventually joined by Irisa, a young Irathient he raises as his own and as his lone companion in the lawless badlands. The versatile and dynamic Benz is known for her wide variety of film and television roles, in 2006 winning a Golden Satellite Award for Best Supporting TV Actress for her role as beloved ‘Rita Bennett’ on Showtime’s award-winning series Dexter. Last fall, Benz recurred on the CBS medical drama A Gifted Man, opposite Patrick Wilson and last spring starred in the ABC series No Ordinary Family, opposite Michael Chiklis. In 2010, she starred on ABC’sSmash hit Desperate Housewives for a multi-episode arc as “Robin,” a stripper with a heart of gold and a master’s degree in education. Throughout her career, Benz has won the hearts of many devoted fans starring in an array of genre classics including Buffy the Vampire Slayer, Angel, and Roswell, as well as the Steven Spielberg-produced miniseries for Syfy (then SCI FI Channel), Taken. In addition, she has guest starred on many hit TV shows, among them Royal Pains, Supernatural, CSI and Law And Order. On the big screen, Benz starred in the Roadside Attractions film Answers to Nothing, opposite Dane Cook, which was released in December 2011. Benz also had a great turn with Jack Nicholson in As Good As It Gets and starred with Rose McGowan, Pam Grier, Judy Greer and Rebecca Gayheart in Jawbreaker, the first of many cult-hits that would soon follow. British actress Leonidas is known for her many television appearances, most recently in Whitechapel, Eternal Law, and the BBC’s Dracula, as well as the award winning ITV film for television Wall of Silence. Stephanie made her film debut in Sally Potter’s Yes, followed by Ate de Jongh’s Fogbound. Other film credits include the lead role of Helena in David McKean’s Mirrormask, Luis Llosa’s feature film Feast of the Goat, Ben Sombogaart’s Crusade in Jeans: A March through Time, Luna and most recently Andrew Douglas’ U Want Me To Kill Him. Stephanie has also appeared on stage in the lead role of Dani in Marianne Elliott’s The Sugar Syndrome at the Royal Court, receiving rave reviews, and most recently portrayed Adela in Gadi Roll’s House of Bernarda Alba. She is repped by Thruline and ARG in the UK. Born in Glasgow, Scotland, Curran rose to fame in the BBC series This Life. Since then, the actor has appeared in a number of major film and television roles including The Invisible Man, The League of Extraordinary Gentlemenand Guillermo de Toro’s Blade II. Curran is a graduate of the Royal Scottish Academy of Music and Drama. Murray is an English-born actress best known for playing Stacie Monroe in the BBC series Hustle and Lila Tournay in season two of the Showtime series, Dexter. She has also had recurring roles as H.G. Wells in Syfy’s Warehouse 13, Gaia in the Starz series Spartacus: Gods In The Arena and Olivia Charles in The CW series Ringer. This entry was posted in GEEK ALERT!, TV NEWS and tagged defiance, mmorpg, science fiction, syfy, television series, trion. Bookmark the permalink. Hmm. Shades of .hack//sign, though I don’t know if that is really the same thing. .hack was set in an MMO..